Yearning to experience the quieter side of island life? 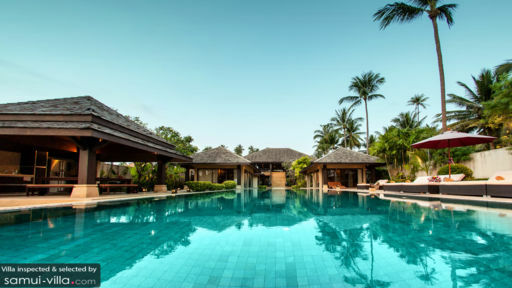 Venture down south in Koh Samui, and reside in one of the gorgeous villas along the coasts of Thong Krut. This charming and picturesque village is an ideal spot for villa travellers who seek to experience a quiet and slow-paced lifestyle. Foodies will be happy to discover that Thong Krut hosts a selection of popular seafood restaurants serving local Thai fare, as well as sumptuous French and British dishes. Active holidaymakers with a love for water sports may head off to neighbouring islands, such as Koh Tan for a snorkeling day trip.